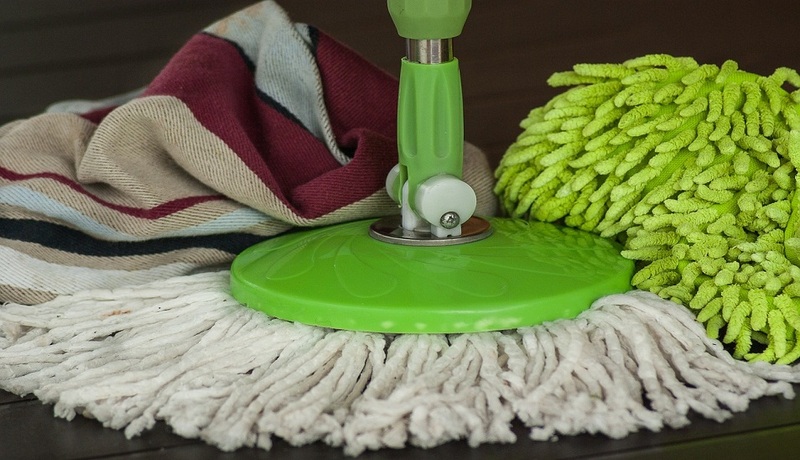 Housekeeping is vigorous exercise and burns about 300 calories per hour, which is about the same intensity as lifting weights, doing water aerobics, or walking at a pace of 3.5 miles per hour. However, when Stanford researcher Alia Crum asked housekeepers if they exercised regularly, two-thirds of them responded that they were not physi­cally active, and one-third of them believed they got no exercise at all. Their bodies reflected this opinion— the housekeepers had blood pres­sures, waist measurements, and body weights that were just what you would expect from an inactive group. Crum then did a mindset interven­tion. In four hotels she pointed out to the housekeepers that they in fact were doing a lot of hard work, which required strength and stamina, and thus they had to be physically fit. She put up posters in their lunch­room about the physical benefits of housekeeping and congratulated them on meeting or exceeding the Surgeon General’s recommendations for physical exercise. She also told them that they should expect to see the health perks of being so active. In contrast, the housekeepers at the other three hotels, who served as a control group, were reminded that exercise was good for them, but were not given the facts about how they were already performing extensive exercise during each workday. One month later, the housekeepers who had been told that they were do­ing a great deal of strenuous exercise at work had shed pounds, lost inches off their waistlines, and burned off body fat. Their blood pressures were reduced and they even reported liking their jobs more. Conversely, the housekeepers in the control group displayed none of these beneficial changes. Amazingly, all these improvements in the first group happened despite the fact that the housekeepers had not made any changes in their behavior or diet. The single thing that had changed was the housekeepers’ perception of them­selves as exercisers. The effect you expect is the effect you get. The “Shake Tasting Study” was another astonishing demonstration of this concept. Stanford student volunteers reported to a research lab at 8 a.m. after skipping breakfast. Dur­ing their first visit, the hungry partici­pants received a milkshake in a bottle labeled, “Indulgence: Decadence You Deserve,” and its nutritional label showed 620 calories and 30 grams of fat. During their second visit, just a week later, they received a second milkshake labeled “Sensi-Shake: Guilt- Free Satisfaction,” with a label showing only 140 calories and 0 grams of fat. After drinking the two milkshakes, the participants’ blood levels of ghre­lin (known as the hunger hormone) were tracked. Ghrelin levels go down when you feel full; and rise when you are hungry. When you eat something high in calories or fat, ghrelin levels drop radically. Less filling foods pro­duce only minor reductions in ghrelin. Thus, a decadent milkshake versus a low-fat, low-calorie shake should stimulate very different effects on ghrelin levels—which they did. The Sensi-Shake produced a small drop in ghrelin, while drinking the Indulgence Shake led to a much more dramatic drop. But here’s the thing: those milk­shake labels were a hoax. During both visits, the participants received the 380-calorie milkshake, so their bodies should have responded the same both times. But instead, when they believed the drink was a sweet and creamy indulgent milkshake, their ghrelin levels plummeted three times as much as when they believed it was a diet drink. Yet again, the result they expect­ed— to feel full— was the result they got. Expectations can dramatically change something as concrete as hor­mone production from your gastroin­testinal tract. During both the milkshake study and the housekeeper study when people changed their perceptions, their bodies instinctively changed as well. Perceiving housekeeping activ­ity as strenuous exercise somehow helped transform their bodies from fat to fit. Considering the milkshake as a high-fat indulgent treat altered hormones to produce higher levels of fullness after drinking it. When you tell yourself, “This stress is killing me and ruining my life!” your body responds very differently than when you believe, “Stress is harmless, and helps me be courageous, strong, and more connected to my loved ones.” Again, the result you expect is the result you will get. So, what do you tell yourself about how stress affects you? ?